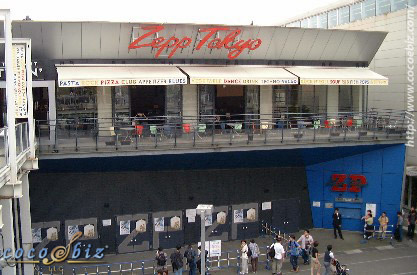 Zepp Tokyo, Tokyo Rinkai Fukutoshin. 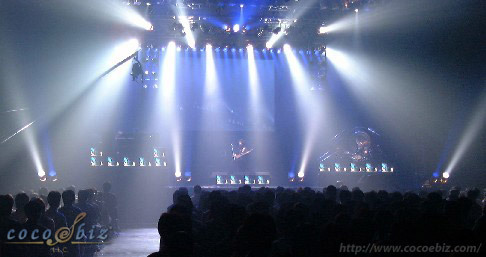 Location of the Motoi Sakuraba Live Concert. A few hours before the start of the concert. 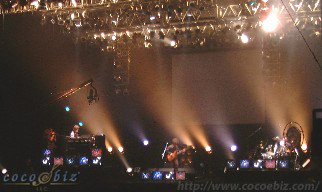 The start of the concert. 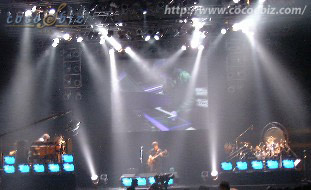 All members exploded onto the stage playing the music of "The Dawn of Wisdom." 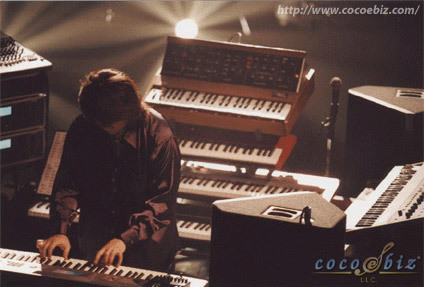 Motoi Sakuraba with all ten of his keyboards set up high like a fortress that surrounded him, played beautifully with his hands. 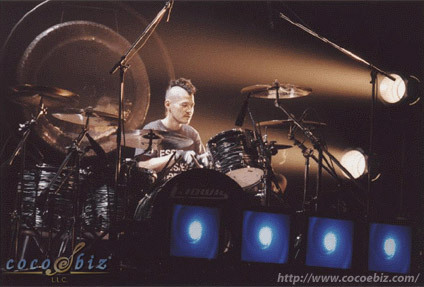 Toshihiko Nakamura, the drummer astonished the audience with his drum techniques and style played with exploding energy. 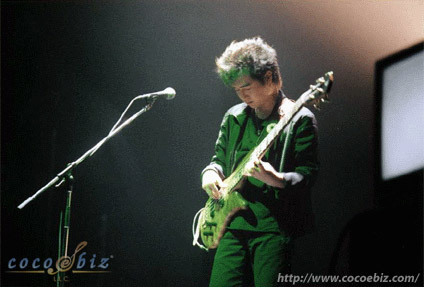 Atsushi Hasegawa, the bass player, produced deep sounds that echoed and was felt throughout the concert hall. 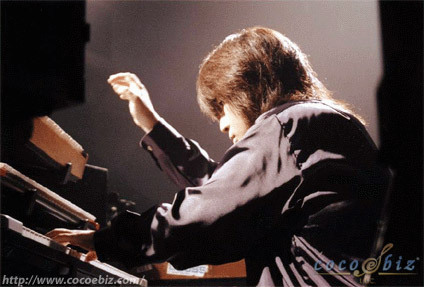 Motoi Sakuraba at his best! The incredible light show continued throughout the evening. 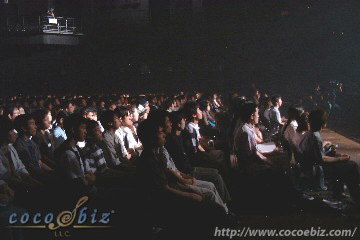 The audience mesmerized by the music. The concert coming to an end while the audience clapped and cheered loudly for an "Encore." 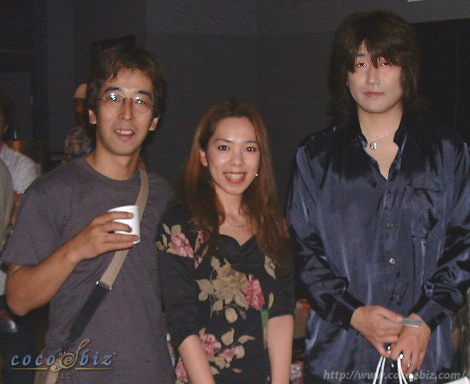 The post concert party - (from left to right) Noriyuki Iwadare, Kahori Ezaki (CocoeBiz) and Motoi Sakuraba enjoying a few drinks.